Whilst many venture inland in search of waterfalls and temples, or sunbathe on the beach or ride the waves, the ‘usual’ Bali visitor forgets about the incredibly world that can be found underwater. From the Bali Manta Rays on Nusa Penida to friendly clown fish, colourful coral and much more, diving in Bali is an absolute dream. There are of course many diving spots split between Bali’s mainland and the ‘nusa’ islands – these are found off Bali’s southeast coast. 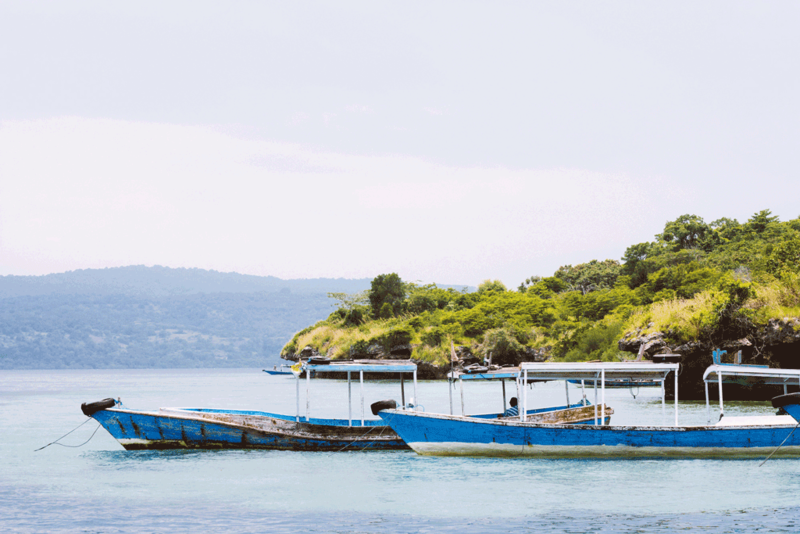 Nusa Penida, Nusa Lembongan and Nusa Ceningan have become incredibly popular for both snorkelling and diving in Bali and make for great day escapes or week-long holidays in themselves. Nusa Penida is without a doubt the most interesting of the three. 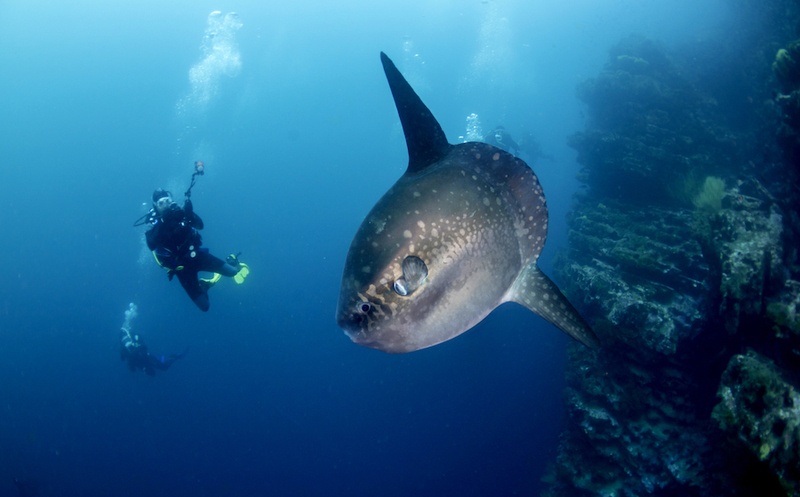 One of the sought after sights here are the Mola Mola, otherwise known as a sunfish. These gigantic sea creatures grow up to 1.8metres long, swimming to the surface for sunlight. These are usually seen between June to October and are a favourite amongst experienced divers. Also around Nusa Penida is where you’ll spot the popular Bali Manta Rays, seen all year around. Many actually come to Bali just to dive or snorkel with these ‘eagles of the sea’ as some call them. Manta, a word deriving from Spanish meaning ‘carpet’, glide gracefully through the sea, and sometimes leap out of the water as well. For those lucky enough to get a peek at these beautiful swimmers, it’s without a doubt a memorable experience. Of course, you can’t just head out yourself on a hired boat and jump into the waters. That’s not how diving in Bali works. If you’re looking to catch sight of the Bali Manta Rays, the Mola Mola or even learn to dive, you must go through a registered dive centre. Safety and local knowledge are the most important factors when diving, especially in smaller straits and islands like Nusa Penida. Nico Dives Cool is one of Bali’s respected dive centres – known for their safety but even more so for their respect for the wildlife and the environment. 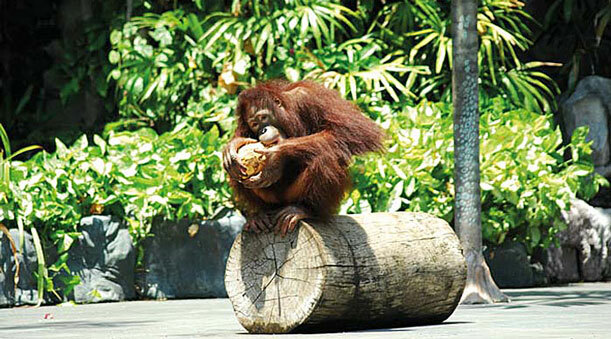 Recognised as a ‘Green Fins Eco-Friendly Dive Centre’, they actively participate in the protection of the environment. 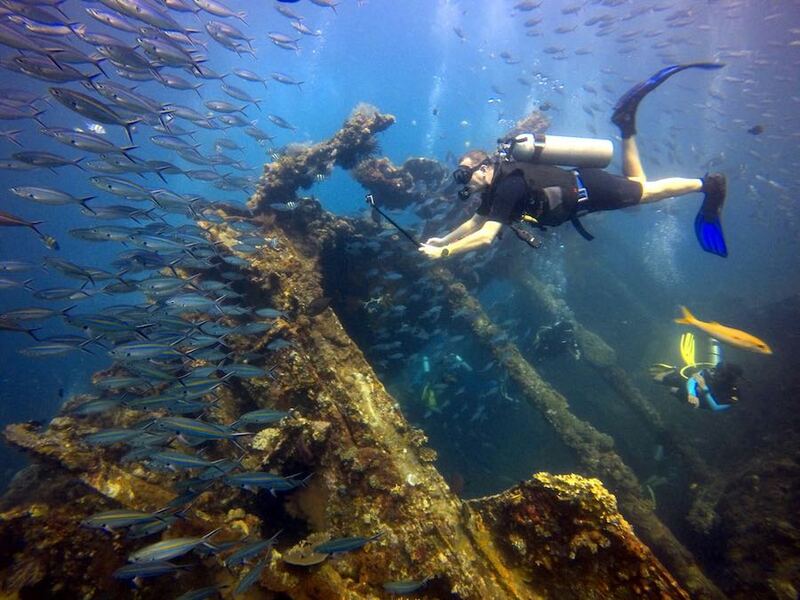 Organising a diving trip with Nico Dives Cool guarantees you peace of mind, with their all-inclusive trips meaning a hassle-free experience.This family-run, French and Belgian company, is established in Sanur and offers courses in English, French and Indonesian. Run by owner and founder, Nico, who has won a Bluegreen 360 Award for ‘personality of the year’, you’ll know be in for a good times! Focusing on small groups, this gives you the chance to have a more personal experience as your dive guides take you through each dive spot. 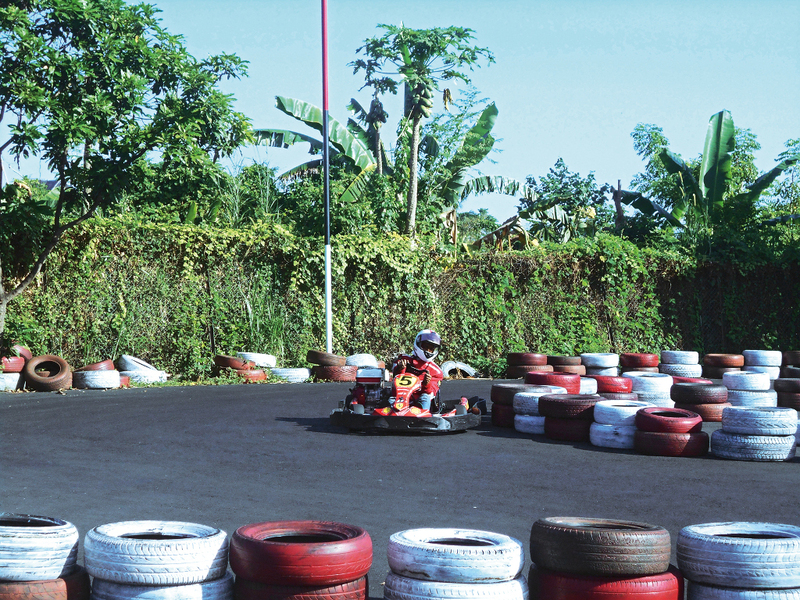 From beginners to professionals, Nico will adapt the available programs to fit your wants and needs. As an advocate for the ocean, he’s just happy you’re looking to enjoy the deep blue, just like him. So, what is there see? A lot, is the answer. 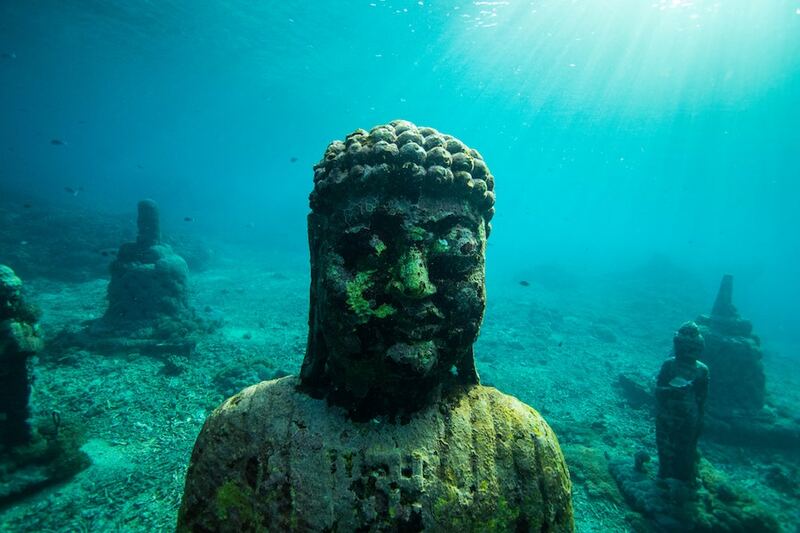 Bali is home to numerous wrecks, submerged temples, man-made art like Nusa Ceningan’s Buddha statues… or for those looking for a bit more adrenaline with a Deep Blue dive can find them in the lower Gilis. 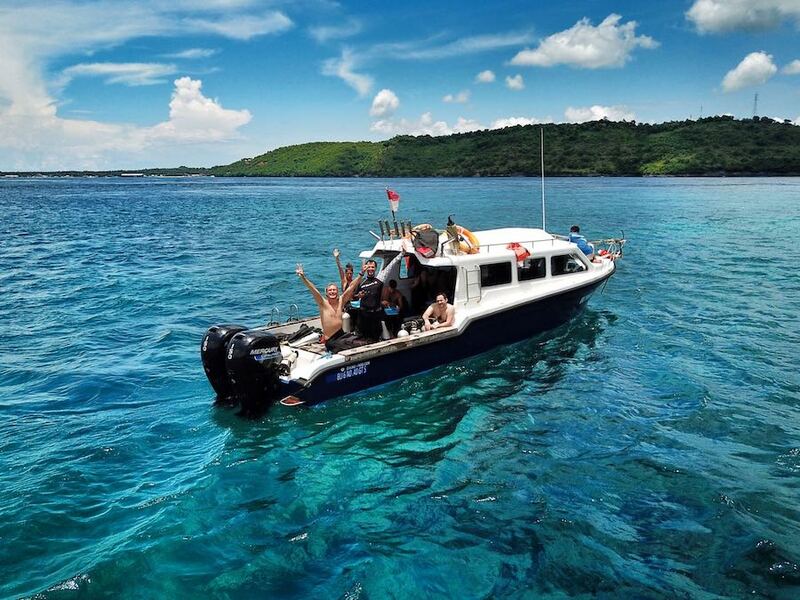 Gili Biaha, Gili Tepekong and Gili Mimpang are well known for being exceptional dives sites with challenging currents. The Boga in Kubu is a great deep dive on a wreck. For more relaxing but somewhat interesting dives, ask Nico to take you to Amed to explore the Japanese wreck or to head to Tulamben to see the humphead parrotfish early morning while they exit the Liberty wreck where they spent the night. Those sites are also great options for snorkelers and kids due to their easily reachable location. While planning your diving trip, make sure you won’t miss the statues at Coral Garden and the flooded Hindu temple at Pemuteran. While diving, beautiful, colorful corals will accompany you throughout your time underwater. That is after all what sets the scene. Yes the Bali Manta Rays, Mola Mola, Parrot Fish, Angel Fish and more will be there too! On top of that, if you dive with Nico Dives Cool you’ll go home with a sim card full of photographs, with their underwater photography and video services to keep as memories for a lifetime. So, what are you waiting for? 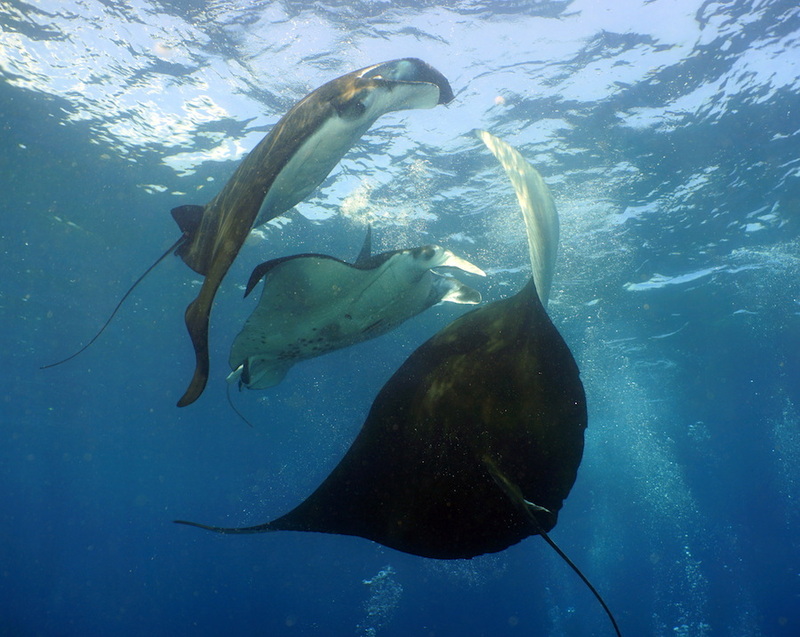 The Bali Manta Rays are waiting!